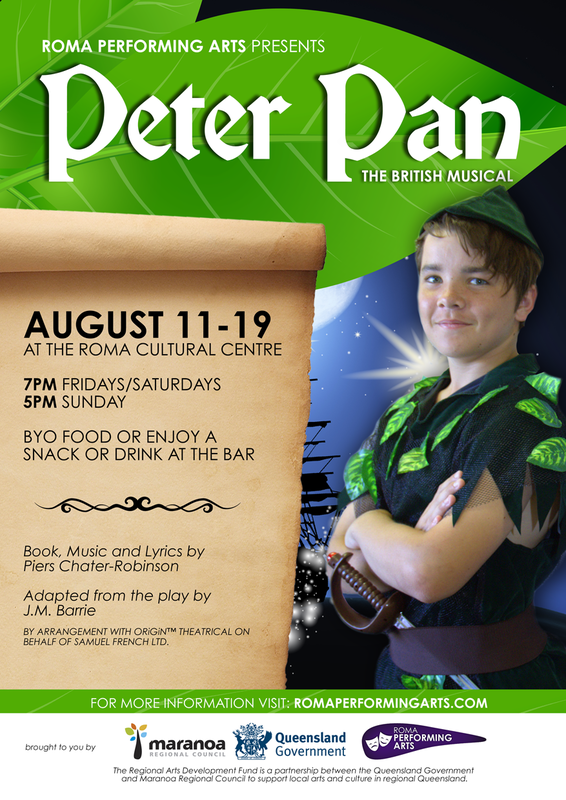 Roma Performing Arts is proud to present, by arrangement with Origin Theatrical, Peter Pan The British Musical. Immerse yourself in the world of J.M. Barrie, of Peter Pan and Tinkerbell, of Fairies, Pirates and Lost Boys, and the magical realm of Never Land. ​BY ARRANGEMENT WITH ORiGiN™ THEATRICAL ON BEHALF OF SAMUEL FRENCH LTD.